LONDON - European markets responded calmly to Standard & Poor's decision to cut the credit ratings of a number of euro countries as France managed to tap bond market investors Monday despite the loss of its cherished triple-A rating. The downgrades, which were based on concerns over Europe's ability to handle its two-year debt crisis and the lack of economic growth, had been anticipated for weeks so the market impact was muted, especially since the U.S. is on holiday for Martin Luther King Jr. Day. Europe is set to remain the focus of attention all week as a number of bond auctions are due and Greece tries to clinch a debt deal with its private creditors. Last October, Greece's partners in the eurozone sanctioned a deal whereby Greece's creditors agree to take a cut in the value of their Greek bond holdings to help lighten the country's debt burden. When will Germany join the credit watch list? The deal with private investors, known as the Private Sector Involvement, or PSI, aims to reduce Greece's debt by 100 billion euro ($126.5 billion) by swapping private creditors' bonds for new ones with a lower value. It is a key part of a 130 billion euro international bailout, the second one for Greece. It is expected that talks on the PSI will resume this coming week after being abandoned last Friday. On Tuesday, representatives of Greece's creditors -- the European Union, the European Central Bank and the International Monetary Fund -- will visit Greece for yet another round of inspections of its efforts at fiscal and structural reform and negotiations for the next tranche of money, the seventh, from the first bailout. 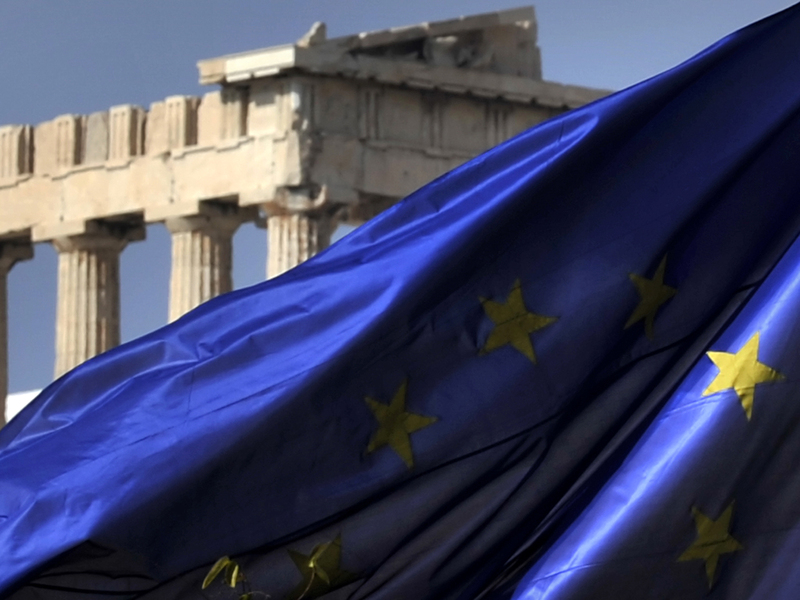 Without a deal with its private creditors, Greece has been told it won't get the seventh tranche. Without that, Greece would be unable to pay a big bond redemption in March and face the prospect of defaulting on its debts, potentially triggering more mayhem in financial markets. Gary Jenkins, a director of Swordfish Research, reckons the Greek debt restructuring poses more risks to the markets in the short-term than S&P's decision to strip France of its cherished triple A credit rating or to downgrade eight other euro countries, including Italy. "The progress or otherwise of these negotiations will probably dictate how the market trades over the next few weeks," said Jenkins. Greece's Prime Minister Lucas Papademos insisted in an interview with CNBC that a deal will be hammered out. "Some further reflection is necessary on how to put all the elements together," he said. "So as you know, there is a little pause in these discussions. But I'm confident that they will continue and we will reach an agreement that is mutually acceptable in time." While investors awaited developments, markets were trading modestly higher especially after France easily sold short-term debt to investors in the first auction since Standard & Poor's stripped the country of its top tier rating. Meanwhile, there was further good news in the bond markets as yield on France's ten-year bonds was falling back toward the 3 percent mark, which is well within what is considered manageable. In stock markets, France's CAC-40 closed 0.9 percent higher at 3,225 while Germany's DAX rose 1.3 percent to 6,220.01. The FTSE 100 index of leading British shares ended 0.4 percent higher at 5,657.44. The euro was also steady, up 0.2 percent at $1.2675. On Friday, it had fallen to a 17-month dollar low of $1.2623 as speculation swirled in the markets of S&P's downgrades. Earlier in Asia, markets responded more negatively to the S&P downgrades, which were confirmed after U.S. and European markets had closed on Friday. Asian markets had already closed by the time speculation of the downgrades emerged. Japan's Nikkei 225 index slid 1.4 percent to close at 8,378.36 and Hong Kong's Hang Seng lost 1 percent at 19,021.20. South Korea's Kospi dropped 0.9 percent to 1,859.25. In mainland China, the Shanghai Composite Index lost 1.7 percent to 2,206.19, while the smaller Shenzhen Composite Index dropped 3.3 percent to 818.17. Almost 70 companies plunged the daily limit of 10 percent. In the oil markets, traders are fretting over simmering tensions in the Middle East and Nigeria -- benchmark oil rose $1 to $99.70 per barrel in electronic trading on the New York Mercantile Exchange.